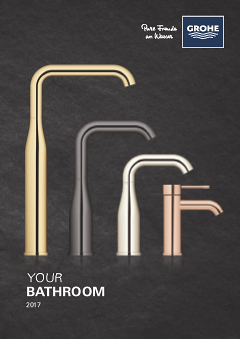 The versatile GROHE Costa L pillar tap – fusing modern style and performance! Timeless design meets user-friendly technology! The GROHE Costa pillar tap looks perfect in any contemporary bathroom or cloakroom and is made from the finest materials to ensure it lasts a lifetime. Created using precision German engineering, the tap is a pleasure to use – every day! The gleaming GROHE StarLight chrome coating is scratch-resistant and very easy to clean – just wipe with a dry cloth and it looks pristine and new. GROHE Costa – a quick bathroom upgrade that balances harmonious style with performance you can rely on for years to come!